Skatestock V is a wrap! Thank you to our amazing sponsors:. 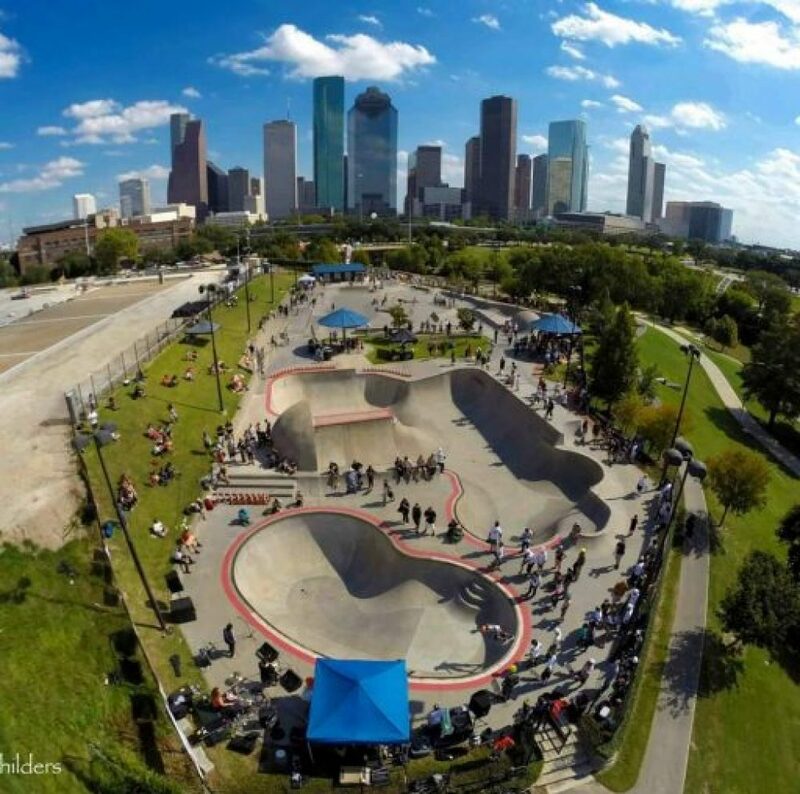 Liberty Kitchen; Memorial City; Visible Changes; Houston Parks Board Inc.; Houston Parks and Recreation Department; Pinks Pizza; Embassy Skateboards and SK808 Wheels. There are still Free Helmets available to those skaters in Need while supplies last at the Lee & Joe Jamail Skatepark. Skatestock V Benefit, Saturday, October 28th at Houston’s Lee & Joe Jamail Skatepark is a Free event from 1-5 p.m.. The benefit provides Free S-One Helmets to Houston Area young people. This event is a Skateboard, Live Music and fantastic Art event for the entire Family. 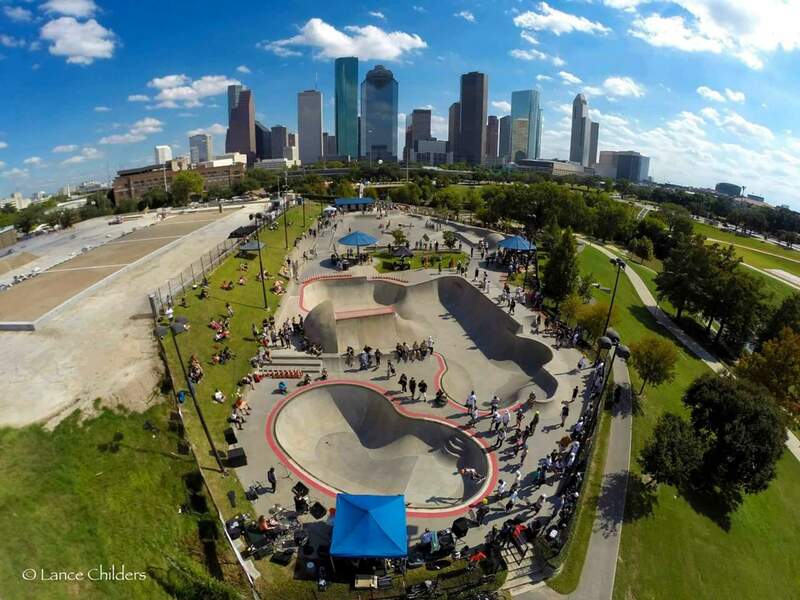 Due to construction delays related to the Lee & Joe Jamail Skatepark renovation project Skatestock V will be rescheduled for Saturday, October 28th (Houston Fall provides our next weather cool down window.). Peace, Love & Skateboards! Skate, Rock & Honor will be in full effect! Our 2017 event will Benefit the Houston Parks Board’s Free Helmet program for Houston area youth. Details to follow… Keep On Double Truckin! Skatestock III Peace, Love & Skate-Legends, 10/18, Jamail Skatepark…Fun, Fun, Fun!